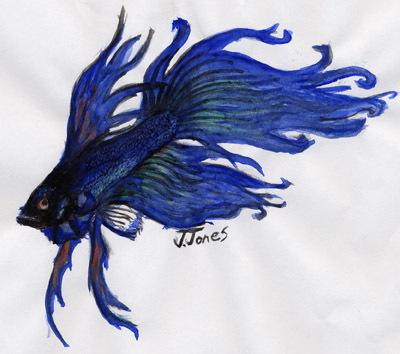 Description: I dunno if art is allowed but- Sevvy, my first betta in watercolor. This is really a beautiful watercolour! thats a really amazing picture, is your fish that pretty too?